The UK hopes to expand business and investment in Vietnam to double bilateral trade in the near future, UK Prime Minister David Cameron said at a workshop held in Ho Chi Minh City on July 30. 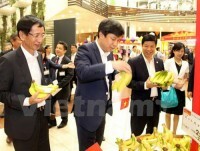 The PM extolled the Vietnamese Government for promoting national competitiveness and creating a fair playground for enterprises in line with international standards. He said he was also impressed by the country’s achievements in economics and poverty reduction. He highlighted transparency and equality as important factors for businesses, especially small- and medium-sized enterprises, to seek investment opportunities. Addressing the workshop, Deputy Prime Minister Nguyen Xuan Phuc said the Vietnamese Government has created a favourable, open and transparent investment climate for businesses to operate in the country. The Government has also solicited feedback from domestic and foreign entrepreneurs on its reform efforts and corruption prevention to ensure all activities of State-run agencies and businesses are transparent and in line with legal regulations, he added. He noted that in the context of global economic difficulties, the business community has made significant contributions to the country’s economic growth. The Deputy PM called on businesses in various fields to forge closer links and enact measures to create a fair business environment. He also warned that deeper international integration offers both opportunities and challenges for Vietnamese goods and services, resulting in more competitive pressure for domestic enterprises. 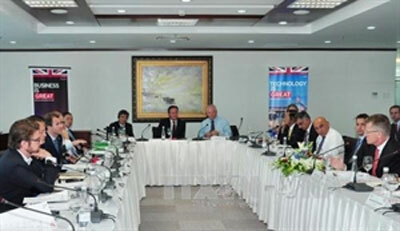 The workshop was organised by the Vietnam Chamber of Commerce and Industry and the UK Embassy in Vietnam./.